It’s our first Thanksgiving here at the Pink Lady. A lot of work has gone into the house – unfortunately none of it in our kitchen. As a result, we don’t have a working oven. Using the charcoal grill left by the previous owners, as well as a few bags of charcoal – voila! 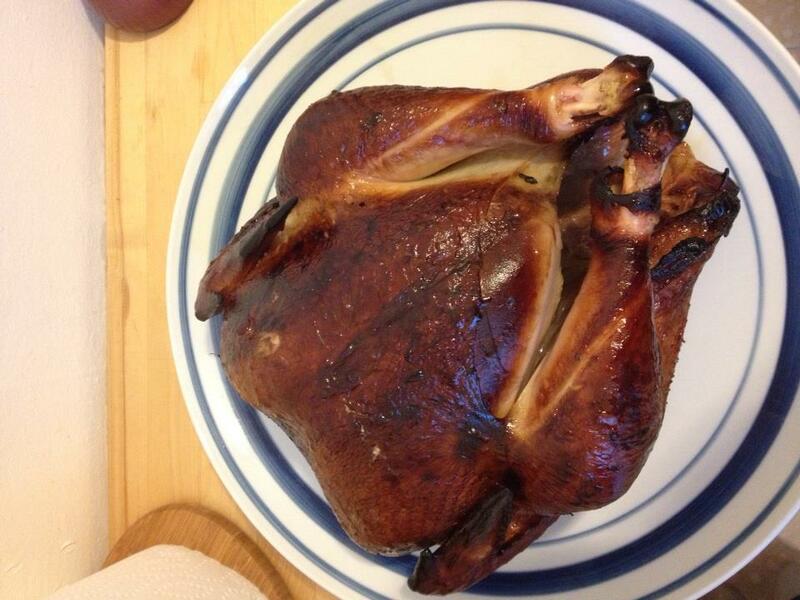 Behold our delicious Thanksgiving turkey!